Melbourne has a serious problem. Most of its job growth is in the CBD, yet most of its population growth is at the far extremes of the city. It’s the same in other big Australian cities, like Sydney. Getting people to work is becoming harder. Many people take more than an hour to commute each way. They could better spend this time with their families, or at work; commuting time is wasted time. promote job growth away from the CBD. We almost certainly need to do all three. 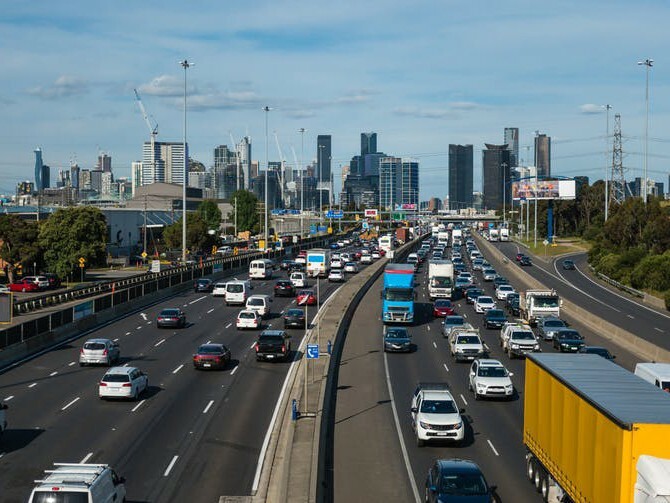 The Victorian Planning Authority (VPA) has identified three places in the west of the city – Footscray, Sunshine and Werribee – where jobs should be developed. The Victorian government is on the cusp of making major decisions that could convert these potential employment hubs into actuality. There are three big development proposals before the government that could make a difference. It would be a pity if it missed these opportunities. At the moment the Victorian government’s main strategy is to improve the infrastructure. This is a very expensive solution. In parallel, the Planning Authority has been working to improve population density by allowing more high-rise housing, particularly around main railway stations and tramlines. However, resistance from local residents has made it hard to increase density in the middle suburbs. We have seen very little effort so far in Melbourne to create job opportunities within the city but away from the CBD. The planners have identified several potential employment hubs but have not figured out how to create jobs there. This has been a failure of state governments over recent decades. The problem is most acute in the west of the city. On current growth trends, by 2030 there will be a shortage of 100,000 jobs in the west; that many extra people will have to commute out every day. At Footscray, the key decision is where to locate the new hospital. The best opportunity for future employment would be to put it next to Victoria University to exploit co-investment and synergies between the two. This would accelerate Footscray’s emergence as a professional services hub. The payoffs in terms of jobs will be much greater than if the hospital is built well away from the centre of Footscray, which is the other main option. The decision is a test of whether the government really intends to create a polycentric city or not. At Werribee, the decision is whether to go ahead with the proposed Australian Education City. This is an ambitious proposal to develop a completely new technology city, mixing technology companies, universities, research laboratories and suitable housing. There would be significant public infrastructure needs to complement the private investment. The big advantage for Melbourne would be that it gains a major new technology precinct. It is an important proposal for the west because the region has very few jobs in IT, computing and e-commerce. The third big opportunity lies in the rail connection between Sunshine and the airport at Tullamarine. With Sunshine the hub for regional rail and well connected to the CBD, the proposed airport link adds a major new facility that Melbourne lacks. It would also transform Sunshine, making it an important focal point for hotels and other airport-oriented businesses. While the state Labor government has proposed this alternative, the post-2025 start date makes it less valuable as a city-shaping investment. To maintain the quality of life of its residents, Melbourne badly needs to create new poles of employment. The west of the city has some of the fastest population growth in the nation. What is lacks is a commitment from government to growing jobs in the region and away from the CBD. The location of the Footscray hospital, the decision on the Australian Education City, and the timing of the airport rail link are once-in-a-generation choices. Let us hope the government makes decisions that will support dispersed job growth. Failure to do so will make Melbourne a much less attractive place to live in future.